Jean-Eric Vergne has become the sixth different winner in as many Formula E races this season after escaping a restart infringement with a reprimand in the Sanya E-Prix. The defending champion took the lead from Oliver Rowland before Alexander Sims drew a red flag, and the top two ran as you were thereafter. However, Vergne had given up too much ground to the Safety Car before it peeled off for the restart and was placed under investigation. It was only on the cool down lap that officials advised that the Techeetah driver would only be slapped with a reprimand. Rowland had put his e.dams Nissan on pole and held the lead until Lap 19, at which time 21 minutes remained on the clock. BMW Andretti’s Antonio Felix da Costa has taken over the championship lead after taking third in the race, which lasted 36 laps in the end. 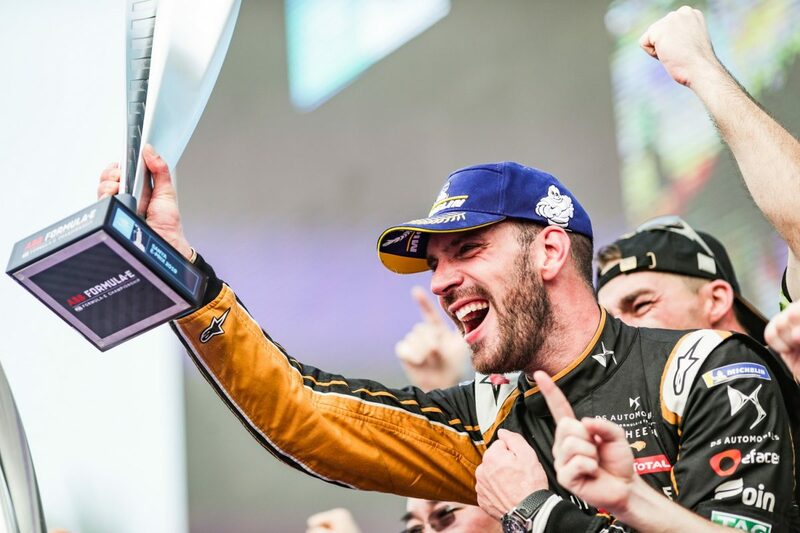 A stoppage was called for a third race in a row, with 12 minutes to go, when Sims (BMW Andretti) skated into the wall as a result of contact with Andre Lotterer (Techeetah). Lotterer went on to finish fourth by passing Daniel Abt (Audi Sport) late in the piece. The race finished under Full Course Yellow due to Robin Frijns (Virgin) unloading Lucas di Grassi (Audi Sport) at Turn 8 as a result of a push from Sebastien Buemi (Nissan e.dams) and Felipe Massa (Venturi) 10th. Buemi took the chequered flag in sixth, behind Abt on the road, but a 10-second penalty saw him relegated to eighth. Jerome D’Ambrosio (Mahindra) inherited sixth position and continues to sit a point off the championship lead while New Zealander Mitch Evans (Jaguar) finished ninth. Sam Bird (Virgin) lost top spot in the standings due to contact with Stoffel Vandoorne (HWA Racelab) on Lap 1 which saw both fail to finish. Race 7 of the season in in Rome on April 13.